Fencing (which we teach at Bohemians) is the successor of historical martial arts. Its main goal is to defeat the opponent. Competitors fight accordingly to fair play and good manners. Due to high requirements on the material of equipment, its one of the safest sports (take a look at mandatory fencing equipment). It is also only martial art that requires electronic device to measure hits, due to the speed of fencers. This equipment has two lights (red and green), one for each fencer. Lights turn with every hit on a valid target. Saber is a stab and cutting weapon. Valid target is from head to hips. Fencing with saber applies offensive priority and counter-attack. If both lights are on, it is up to judge to decide which fencer gets a valid point and which one gets a hit. Epée is a stab weapon only. It needs a minimal force equal to ¾ of kilograms to measure a hit. The whole body is counted as a valid target. There is no offensive priority, so both fencers get a valid point if both lights turn on. Foil is stab weapon only. To measure a hit you need a minimal force equal to ½ kilograms. Valid target is torso only. If fencer hit the opponent on a non-valid target (hand, head, leg…) the yellow light turns on. It signals a non-valid hit. Offensive priority is applied same as with saber. … The very origins of fencing are really hard to trace. So we can stick to the saying of our trainer. 1190 BC – Egyptian Pharaoh Ramses III. builds a temple, with an embossed motive of fencing as a competitive event. 13th century AD – Gunpowder was invented in Europe. Fencing stops to be important part of big battles, hence it slowly turns to sport and art (still it’s quite a long way from it). 14th century AD – Johannes Liechtenauer is starting “German school of fencing” in Germany. Beginning of 15th century AD – German fencer Hans Talhoffer writes extensive scripts about fencing. 1567 – Monarch Charles IX established “French school of fencing”. It uses epées, rapiers and foils instead of swords. It also establishes official fencing terminology which is used nowadays. Beginning of 19th century AD – The first rules of fencing are created in France. The official language of fencing duels is French. 1896 – The first Olympics are held in Athens. One of nine disciplines is fencing (with saber and foil, epée was cancelled a little moment before start). 1908 – Czech competitor Vilém Goppold of Lobsdorf won a bronze medal in Olympics in London. He achieved another bronze in teams. 1913 – International Fencing Federation (FIE) is created during fencing congress in Paris. 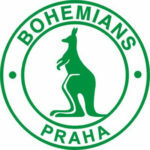 Bohemia is one of the founding countries. 1938 – Czechoslovakian competitor Marie Krůbová (born Šedivá) is World Champion in fencing with foil. She is the only Czech winner of World Championship up to this day. No man has won a gold medal in a World Championship for the Czech Republic.